Scrub mussels well under running fresh water. Beard them and remove as many barnacles as tou can. Preferable bribe your 15 y/o son into doing this. Add some good quality white wine, some fish stock, a splash of soy, a splash of fish sauce and a knob of ginger and some bruised lemongrass to a saucepan. Bring to the boil. Drop in your mussels and cover. Reduce heat and simmer for 5 minutes. Turn off heat and leave covered for a further 5 mins. meanwhile, make your Asian fusion "gremolata". Finely chop a bunch of corriander, some garlic, the rind of a lemon, some Vietnamese mint and some Thai basil. 1/2 a red chilli. 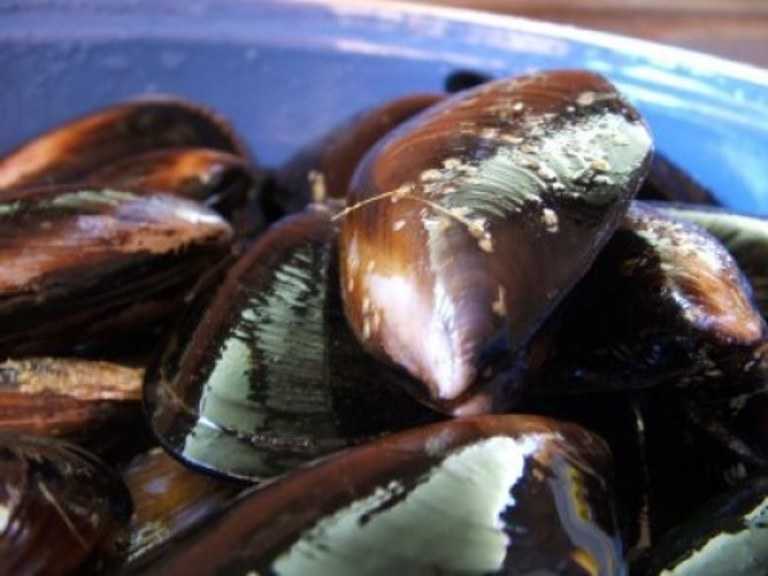 Remove mussels from heat and throw in the "gremolata". Stir quicky. Ladle into bowls and serve with extra lemon juice and chunks of pasta dura for slurping.